7 screen cinema on Bedford's Riverside surrounded by a selection of restaurants and bars. VIP and recliner seating available. 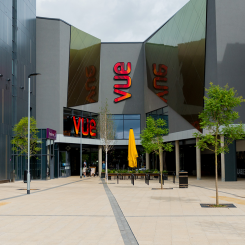 Local multi-screen cinema.Cineworld Bedford is a 6 screen cinema situated at the end of the picturesque River Ouse embankment.